Board members of the Integrated Waste Management Authority (IWMA) voted unanimously to delay selection of the agency’s counsel after problems with its listing on a meeting agenda were cited by several speakers. In addition, several speakers questioned the quality of the selected firm. The agency, its former manager, and others are under investigation by the San Luis Obispo County District Attorney after CalCoastNews uncovered hundreds of thousands of government dollars that were misspent. For the past two decades, Raymond Biering has served as counsel for the IWMA. Biering resigned recently as controversy mounted surrounding management of the agency. Biering’s departure follows closely that of former manager William Worrell, who also held his post since the agency’s inception in the 1990s. Biering was a partner in the firm of Adamski Moroski Madden Cumberland & Green. That firm was recommended by a committee of the IWMA. Worrell also resigned recently after the suspicious spending was reported. Stew Jenkins, a local attorney, and Wayne Hall pointed out that Biering was responsible for legal advice that has now placed the agency and its officials in jeopardy. 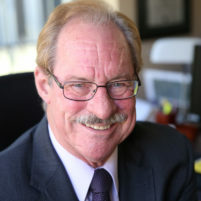 Hall, a former county official, helped draft the original IWMA formation documents. Bids for new legal representation will be sought, according to the board. A special meeting to discuss the matter will be set. Wagstaffe? James Wagstaffe? The one who allegedly coached Bill Worrell and Charles Tenborg to commit perjury? He’s got a job for Biering alright. So it’s the Attorneys fault he didn’t tell them not to use company credit cards for illegal purchases? They couldn’t figure out that on their own? Rats turning on each other as the ship sinks! The credit card was unauthorized and illegal from the start, every purchase was a crime. It’s about time this criminal “Team Adam Hill” is disbanded.